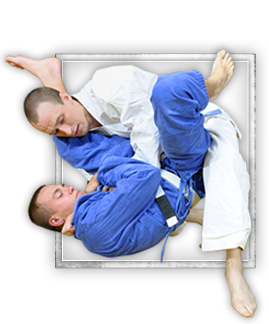 At Gracie Jiu-Jitsu NY you'll learn real self-defense, really fast! Or school offers original Gracie Jiu-Jitsu and we teach it as as it was meant to be used - for self-defense and conflict resolution. Prepare for the Streets & Bully-Proof Your Kids in a Non-Violent Way! We specialize in preparing adult beginners for the streets as quickly as possible and bully proofing children with our non-violent approach to conflict resolution. Then teach how they can be avoided. Lastly, we teach how the fight can be won through compliance or escape. We do all of this with highest regard for safety and through strict Gracie Jiu-Jitsu protocols. These proven methods ensure you'll remember these life-saving skills for a long time! Regular seminars with world famous martial artist, Relson Gracie, add to our program offerings too! Kids have a blast in class as they learn how to roll, and engage in positive, fast-paced fun! They learn wrestling and grappling techniques, how to use leverage to get out of dangerous situations, and get a huge boost in confidence. Adults benefit greatly too! They build laser-like focus, use their newfound skills to practice with their classmates to simulate real-world situations, and learn one of the most effective and famous self-defense systems on the planet! For more details on our unique ways to squash fears, have the most fun you've EVER had working out, and get you into that "can do" mind-set just visit our classes page. The "Classes" link in the menu above is where we break down what it is we do in each class and where you can find that super low web-special going on too! Wouldn't want you to miss out. Our owner and head instructor's bio is below so you can get a feel for the leadership at our school as well. That way you can see some of their stellar accomplishments and feel confident on your first day of class. Looking forward to training with you soon! Professor Michael Casey is a 2nd Degree Black Belt and was a pioneer "back in the day" when he introduced Gracie Jiu-Jitsu to the Bronx in 1994. Michael has a Gracie Jiu-Jitsu pedigree, having earned all of his belts from Relson Gracie and Royce Gracie. He opened the first Gracie Jiu-Jitsu Academy in the Bronx in 1999 - he has since taught thousands of people. Staying true to the purpose of Gracie Jiu-Jitsu, Professor Casey has created the unique, Gracie CORE Essentials program, which now gets beginners prepared for the streets in the fastest time possible. Most recently he broke new ground when he was asked to teach his non-violent self-defense program to the students of Bronxdale H.S. with over 40 participants in this 2 semester course. While some of our students will go on to competition training and even professional events like the UFC, training people for the everyday, real-world situations is what we focus on in a very fun and supportive environment. Grand Master Relson Gracie is a 9th degree black belt and well known for his "street effective" techniques and unique style of teaching. Eventhough he is now retired from competitive fighting and teaching full-time, he honors Gracie Jiu-Jitsu NY students with seminars and lectures. Come join our Bronx, NY Martial Arts facility! 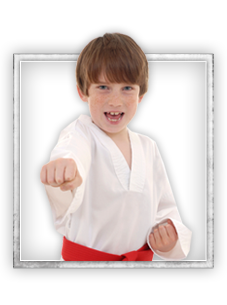 We offer programs in Kids Martial Arts and Gracie Jiu Jitsu. Choose a program that most interests you and have the opportunity to sign-up right here on our site for one of our awesome web specials. Or feel free to give us a call at 646-228-1945 if you have any further questions. Gracie Jiu-Jitsu NY hopes to speak with you soon!